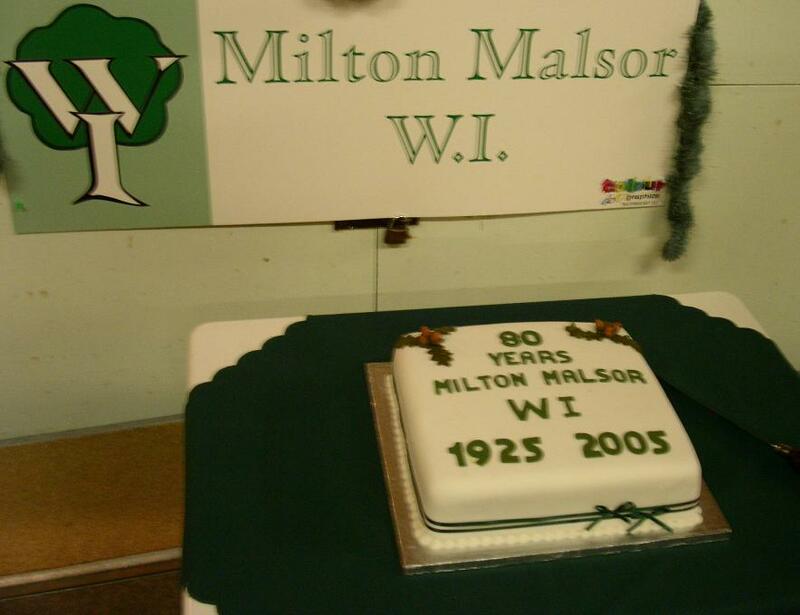 Milton Malsor Women’s Institute was formed on 6th March 1925 with Mrs Daphne Raynsford as President. Over the years, meetings have been held in the Baptist Chapel Room, the School Hall, and now take place in the Village Hall. Research on old minute books held in the Records Office is quite revealing. We still have a competition at each monthly meeting, but not on sock darning as in 1955! The minutes of 1942 state that Members were knitting woollen comforts for the troops, and in 1943 they prepared refreshments for the Home Guard. They also helped in the harvesting of stinging nettles! In 1947, the records list 67 members with an average attendance at meetings of 31. The funds were recorded as £21.10s 8d. In 1953, the Institute purchased a seat for the Community to commemorate the Coronation of Queen Elizabeth II; this was sited on the corner of Malzor Lane for many years. Sadly, it is no longer there. The Institute entered a Mercury & Herald literary competion in 1967 with a piece entitled Characters of My Village which was judged Highly Commended. Village celebrations for the Queen’s Silver Jubilee in 1977 went with a swing when a number of members joined in the fun dressed up as ‘bunny girls’! Not quite Calendar Girls, but feisty for that time as you can see in our Photo Archive. The Institute has a history of “treading the boards” with Mrs Daphne Raynsford promoting the spirit of performance; over the years members have joined to stage small productions. These were always well received and gave immense pleasure to those who participated, however in recent times the tradition has not continued. A Millennium wall hanging worked by W I members and other village residents has been completed and now hangs in the Church of the Holy Cross, Milton Malsor. This is a fine achievement and a wonderful heirloom. A MMHS booklet about the wall hanging is available. In 2004, members were delighted to be invited to Highgrove House in Gloucestershire to visit the gardens at the home of the Prince of Wales. 2005 saw the Institute celebrating its 80th Anniversary. The Federation Chairman, 31 members and 33 guests including the Hon. Mrs Joan Raynsford along with husbands and past members, enjoyed an evening of music and nostalgia. The members provided delicious refreshments and the Anniversary cake was made by Mrs Jane Treharne. Inspired by the suffragette movement the W I was founded in 1915 and its ideals of justice, tolerance and fellowship are as relevant today as they were then. However, the movement recognises that the pace and change of modern life has influenced its membership and it needs to move with the times. We in Milton are fortunate to have boosted our membership with ex members from Collingtree W I whose Institute closed some years ago. 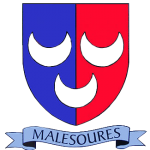 Milton Malsor W I is still very active, and in 2008 there is an average attendance at monthly meetings of 20 – 25 Members. Meetings are held every second Thursday of the month at 7.30 pm in the Village Hall – see also the W I web site for further information about the National Federation of Women’s Institutes. 1942 Members were knitting Woollen Comforts for the troops and helped to harvest stinging nettles! 1943 Refreshments prepared for the Home Guard and a Potato Competition was held. 1944 Competition for best Christmas present. 1947 Annual Report detailed 67 members, with an average attendance of 31. Financial statement recorded total funds of £21.10s. 8d. 1949 Caterers’ licence applied for to buy tea, sugar, margarine & milk. A Canning Machine was bought for £15 from the proceeds of a jumble sale. 1950 The Canning machine was put to good use in both Milton & Collingtree and was also hired out. 1952 Letter of condolence to the Queen on the death of King George V1. 1953 A ballot was held for 5 members of the W I to attend the Coronation. 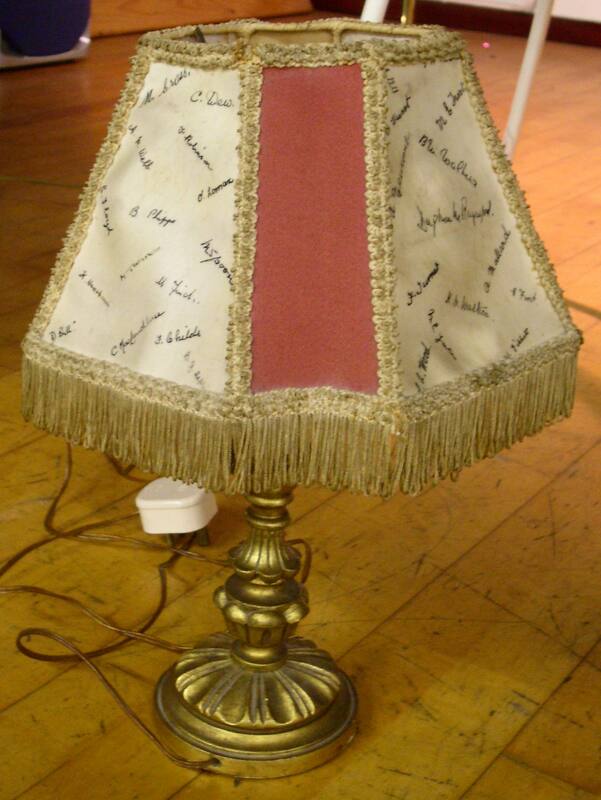 A Garden Party realised a profit of £33 and a Coronation seat was bought, from the proceeds, for Malzor Lane. 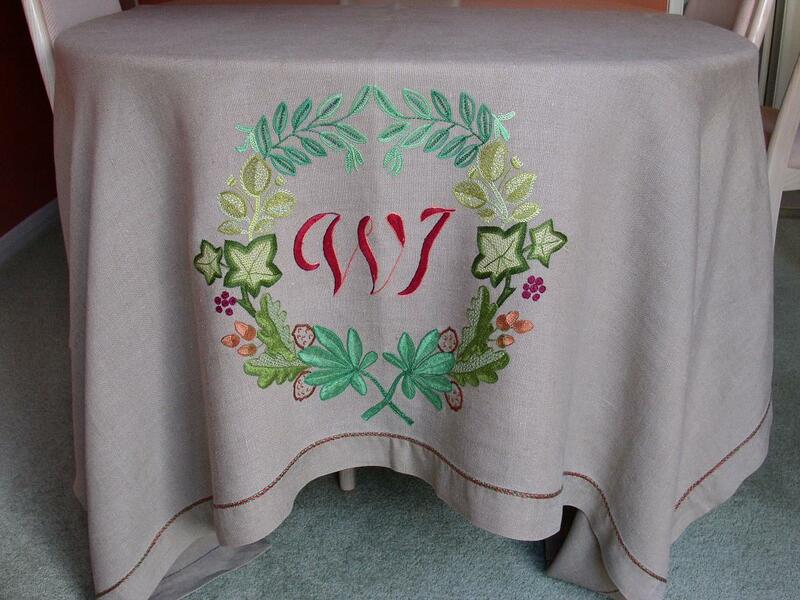 1954 A tablecloth – still in use in 2008 – was embroidered for the Institute by Mrs Florence Turner, Mrs Yorke was also involved with the project. A National Savings Group was set up. 1955 Sock darning competition judged by Mrs Yorke. 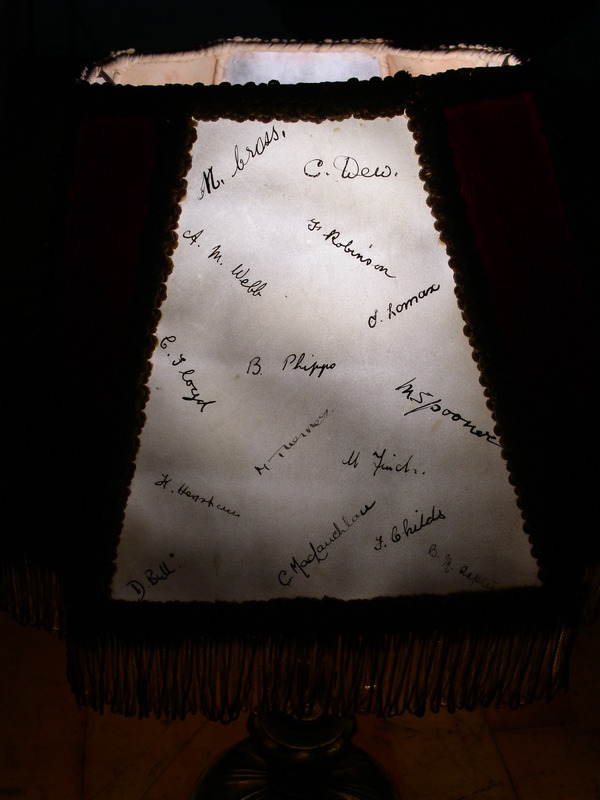 1956 Mrs J Raynsford was presented with two lampshades inscribed with members’ signatures. It was also recorded that the canning machine could have more use. During this year there were a total of 70 members enrolled, with an average attendance of 41.